Mobile TV is alive and well! Mobile TV has experienced a quiet and rather confusing couple of years – but at this year’s Mobile World Congress show held in Barcelona last month, TVBEurope got a real feel for where this exciting technology is going next. Heather McLean reports. Overall, the main change within the world of mobile TV felt at Mobile World Congress was a move from the idea that scheduled TV on broadcast technology will take the technology forward, to a stronger business case for personalised services on unicast or integrated mobile broadcast (IMB).  In fact, TVBEurope struggled to find anyone with anything good to say about the now-former champions of mobile TV, namely broadcast technologies DVB-H and mobile DTV, and scheduled TV. Also in the past year, the mobile TV industry has watched the death of broadcast standard FLO TV unfold; last year, we wrote that FLO TV had made inroads in the US, with coverage of over 110 major populations in the sprawling country following on from the US digital switchover in July 2009. However, in December 2010, Qualcomm announced it was to sell its FLO TV spectrum to AT&T for $1.925 billion. The sale of channels 55 and 56 – unpaired spectrum in the lower 700-MHz frequency band – will see Qualcomm turning off its FLO TV business and network from March 2011. The move marks the end of an era as FLO TV finally draws to a close; the service was one of the few examples of a commercial mobile broadcast TV service in the world. Dr Windsor Holden, principal analyst at Juniper Research, said the FLO venture fell victim to a number of factors, including: the lack of national coverage in the early years of the service; the reliance on operators to market a product of which they had little experience; and the requirement for consumers to buy a new phone from a very limited range. In addition, the arrival of improved smartphones and HSPA knocked broadcast TV off its perch somewhat by making streamed 3G TV services possible, while new technologies such as ATSC M/H allowed the use of existing digital TV networks and avoided the need to build expensive new infrastructure. MobiTV announced in January that it has partnered with Mobile Content Venture, a joint venture between various broadcasters in the US, to create a mobile TV service on broadcast technology, mobile DTV (the US equivalent of Europe’s old favourite, DVB-H). Another wireless technology being spoken about at the show as an alternative to unicast was IMB, which enables the broadcast of content such as live TV channels, at the cellular transmitter level, using the 3G or 4G licensed radio spectrum, and received on IMB capable 3G or 4G mobile terminals. IMB was accepted as part of the Release 8 3GPP standards in December 2008. It was endorsed as the preferred broadcast standard by the GSMA in September 2009. On 22 June 2010, O2, Orange and Vodafone announced a multi-operator IMB pilot in the UK, which was set to run from October last year for around three months. The trial is looking at how mobile broadcast services can be deployed using shared network infrastructure, on a part of the 3G spectrum that is rarely used, called Time Division Duplex (TDD). This spectrum already forms part of the 3G licences held by many European mobile operators, but has remained largely unused because of a lack of appropriate technology. Currently, 3G TDD spectrum is available to over 150 operators across 60 countries covering more than half a billion subscribers. Graves continued on the benefits of IMB for mobile operators: “IMB allows us to provide limited content to an unlimited number of users, whereas unicast, which uses HSPA and LTE, provides unlimited content to a limited number of users. IMB is a single frequency network with synchronous transmission, which improves the overall spectral efficiency. It bypasses the mobile network, unlike unicast, which goes over it. “We have to think of IMB as not just live TV, in the way we thought of mobile TV before, but as a way to offload content from the mobile networks. We would use it to push some really popular content, such as subscribed magazines and newspapers, to end-users. We can use it to offload 10% to 20% of user data from the networks. By offloading up to 20% of mobile data onto IMB, we would achieve cost savings on our 3G and 4G networks, and get better quality of service for end users,” he said. The trial, which is using combined spectrum in the 1905-10 MHz (Orange UK) range and 1910-15 MHz (O2 UK), is still ongoing. The operators have achieved the simultaneous broadcast of 20 live TV channels and 10 radio channels over IMB.